The first element of the ecosystem is the Neluns Bank. Which is a licensed commercial bank, officially registered in accordance with all regulatory requirements. The Neluns Bank presents a broad spectrum of services for physical and legal entities. While all operations are available in fiat and in cryptocurrencies. During the first stage, Neluns Bank will carry out activities combining classical banking and banking on the Blockchain. In the future, Neluns Bank, together with its partners, will transition to its own Blockchain for international settlement purposes. The utilization of leading technologies allows us to create financial products, access to which will be available around the clock from any part of the world. 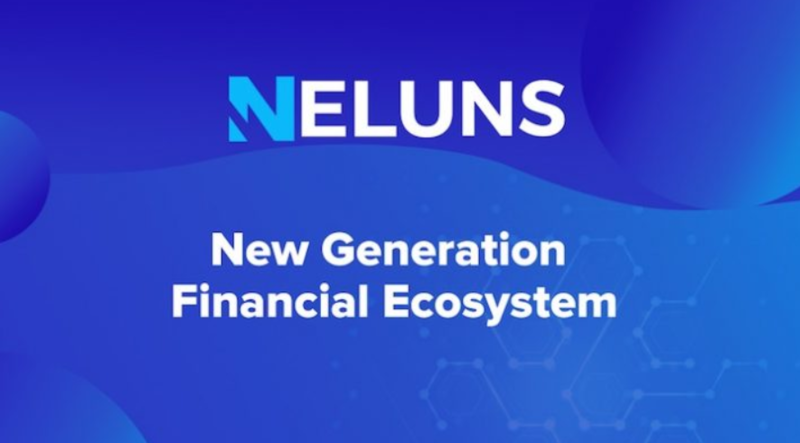 The Neluns Exchange strive to become a global cryptocurrency exchange and establish itself as the foundation for a new and complex banking architecture, which does not suffer from the shortcomings of the existing system. We are creating an innovative solution, eliminating the drawbacks of existing cryptocurrency exchanges. A separate element of the Neluns financial ecosystem, is the insurance company — Neluns Insurance. On demand of the bank and cryptocurrency exchange users, it will carry out insurance coverage for financial risks, tied to trades and transactions. Ecosystem users will have access to full and partial risk insurance. Full insurance. Provides insurance coverage in full when an insured event occurs. Partial insurance. Limits insurance coverage as certain insurance amounts, as well as the system of specific insured event occurrence conditions. The base insurance premium amount with full coverage comprises 10% from the total trade/transaction sum. It can change depending on a row of criteria. The cost of partial coverage is determined individually for each specific case. After the insurance payment is paid, the claim right of the defaulting party is transferred from the insured to the insurer. Risk insurance for defaulting counterparties when executing transactions. Insurance in case of unforeseen circumstances during transactions. • Insurance of credit and deposit risks. • Insurance of investment risks. FATF (Financial Action Task Force on Money Laundering). will allow us to conduct operations with electronic money, as well as to issue them. Lite — bank card released for first level verified users (email address). Users can participate in trades on the Neluns Exchange (with 1:5 margin trading). Trade sums cannot exceed $300. Silver — bank card released for second level verified users (verification through social networks and mobile number). Users can participate in trades on the Neluns Exchange (with 1:10 margin trading) and the P2P lending platform. Trade sums cannot exceed $500. Gold — bank card released for third level verified users (verification through identity verification and mobile number). Users gain access to all Neluns Bank services, Neluns Exchange (with 1:20 margin trading), Neluns Insurance. Restrictions on trade amounts are absent. Platinum — bank card released for third level verified users (verification through identity verification and mobile number), who have deposited no less than $5000 in the Neluns Bank. Users gain access to all Neluns Bank services, Neluns Exchange (with 1:20 margin trading), Neluns Insurance. Restrictions on trade amounts are absent. 80% – Ecosystem development; investment in the purchase and improvement of traditional banking software; development of our own software and ecosystem functionality; Neluns applications for Windows, macOS, Android, and iOS; investment in work and bank capital, cryptocurrency exchange, platform insurance (these funds will be used as a part of the activities of all elements of the Neluns ecosystem and provide additional operations). 3% – Personnel salaries, offices, legal registration, obtainment of all necessary licenses, connection to payment system and SWIFT, legal and consultation services. 10% – Marketing, hosting a marketing campaign and attracting a broad range of clients to use the Neluns ecosystem. 7% – Reserve fund, will be used to support NLS liquidity.